Product Details- Nutritional Composition -Crude Protein min 24% Crude Fat min 4.5% Crude Fiber max 5% Moisture max 10%,Ingredientd-Vitamin A Improves visual acuity. Vitamin D3 Helps in the development of strong bones and teeth. Vitamin E Aids the reproductive system. Suitable-Hamster,Quantity-300 Gm. 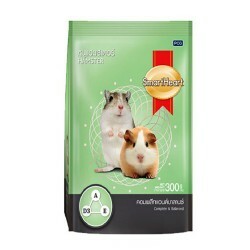 Product Information-Smart Heart presents a complete and balanced dietary formulation for your pet hamsters optimum growth and development. The diet is also suitable for rats, mice and other related species. Providing adequate energy to fuel daily activities of the small pet, the food also maintains the efficiency of various body systems like digestive system, immune system, reproductive system and so on. Addition of vitamin D3 ensures development of stronger bones and teeth. Vitamin A has been added to enhance the vision of your pet hamster. The small pet food would also bestow health and beauty to the skin and coat. 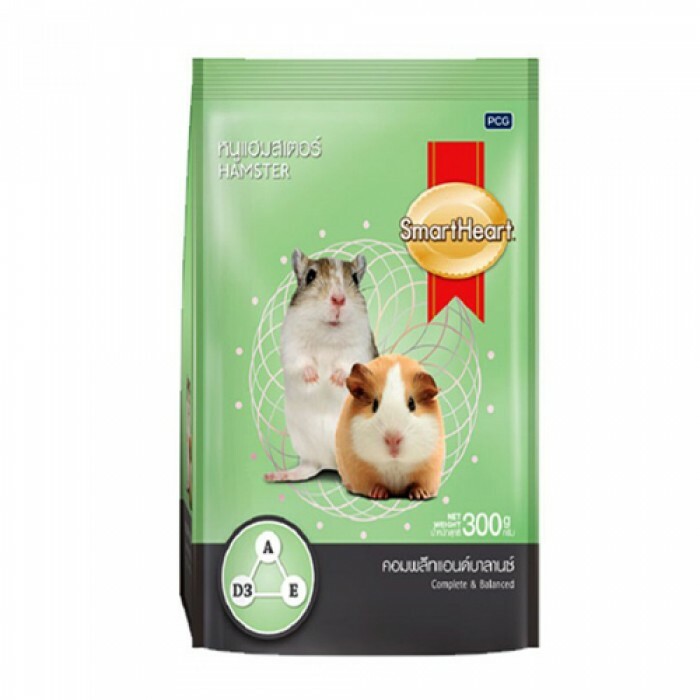 Smartheart Hamster food Specifically developed to provide complete and balanced nutrition for Hamster, guina pig, Rats, Mice and related species for optimum growth, strong bones and teeth, and healthy skin and coat.